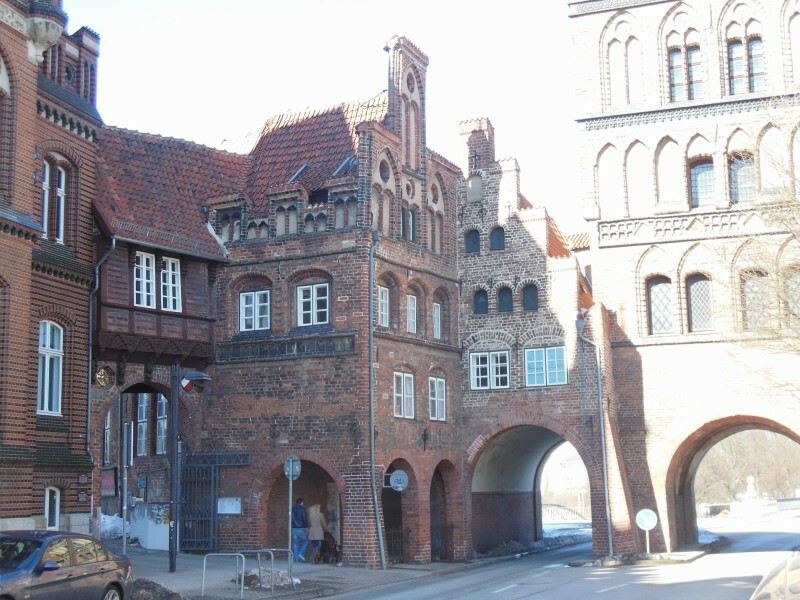 We walked to the peninsula that encloses the old town of Lübeck, in the far North of Germany, towards….hmmm, a giant cone bra??? 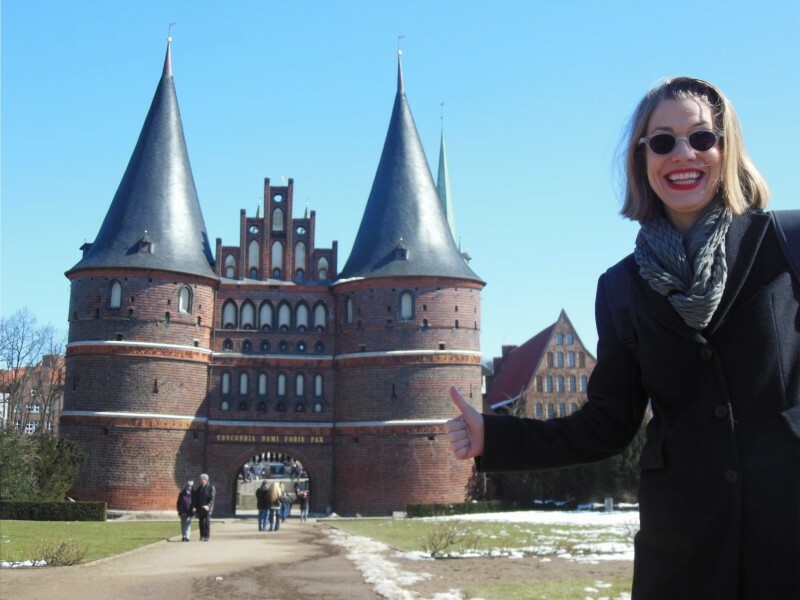 Well, actually, it was the Holstentor: a fortified medieval gate and my introduction to brick Gothic. 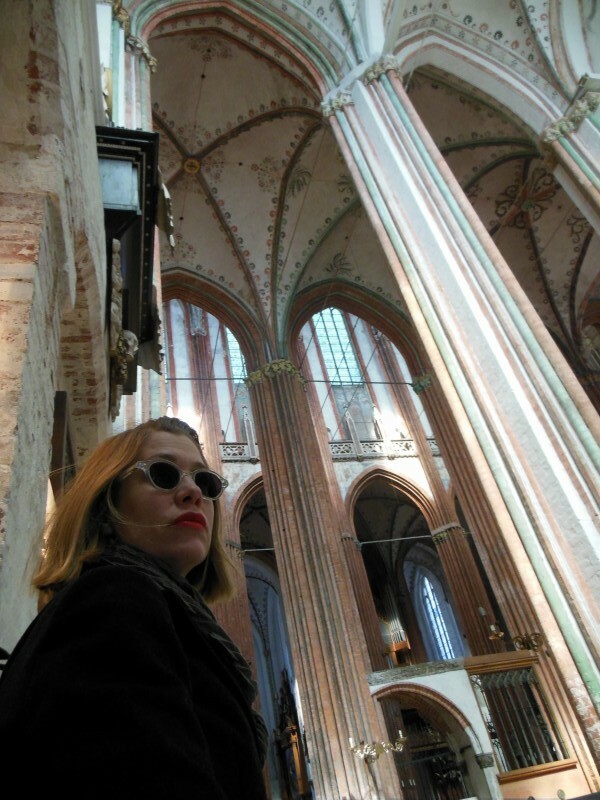 I’ve long been a drooling aficionado of Gothic architecture, especially it’s carved stone elements and sculpture. Bricks, though, can’t be carved because they’re, um, bricks, which are brittle and fragile. 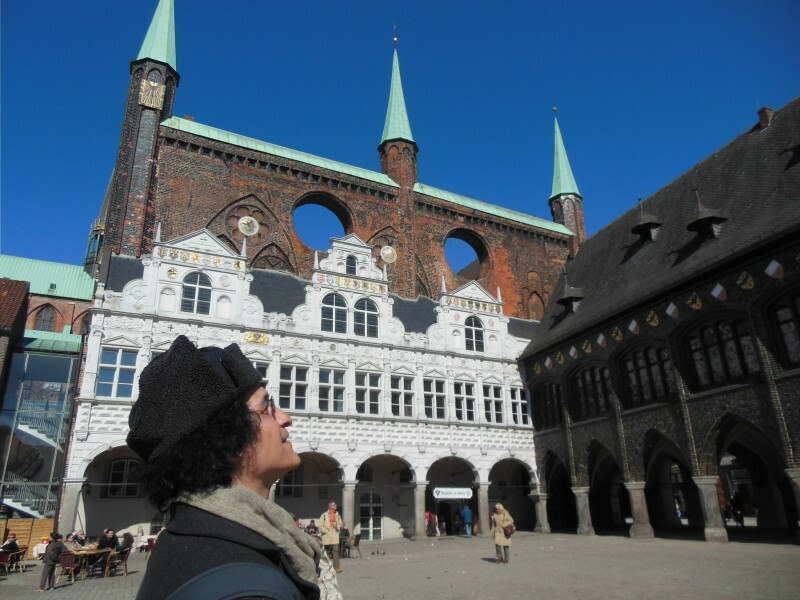 What was fascinating about our tour of the architecture of Lübeck, and another North German town, Stralsund, was to see how Gothic ornament was uniquely manifested with the challenges that bricks presented as a building material. 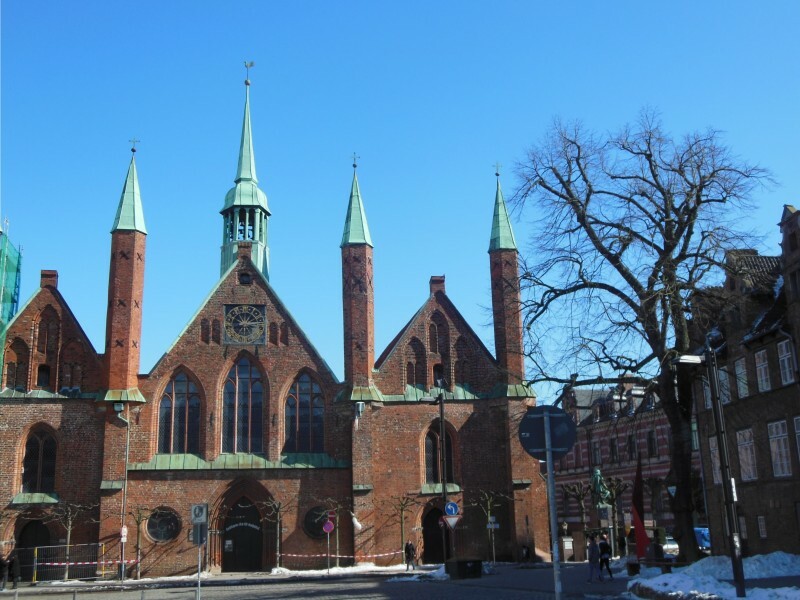 The brick Gothic architecture in Lübeck is confidently designed, less messy than much of central Europe’s Gothic buildings. Many of the buildings, including the town hall, are topped with skinny copper spires. Marienkirche (St. Mary’s church) in the center of the old town, has the layout of a French Gothic cathedral, but is more simply designed. While the interior is painted, the usual Gothic additions of stained glass and stone sculpture are absent. It was a treat to immerse ourselves in this regional architectural style, which is, naturally, UNESCO protected. 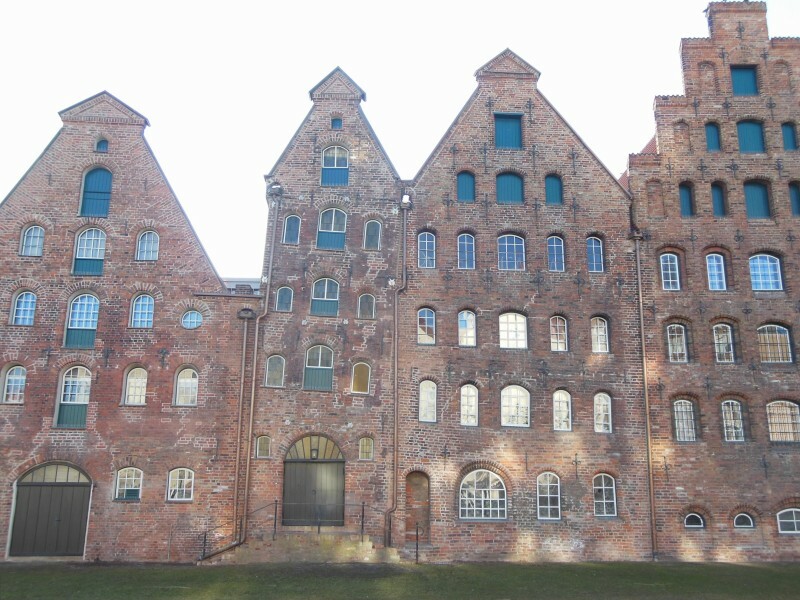 In addition to it’s architecture, Lübeck is famous for it’s marzipan. However, we were visiting during a long holiday weekend, and the marzipan-selling shops were all closed. Well, getting a chance to sample the marzipan will have to be our excuse to return to this unique town and it’s inventive brick craftsmanship. 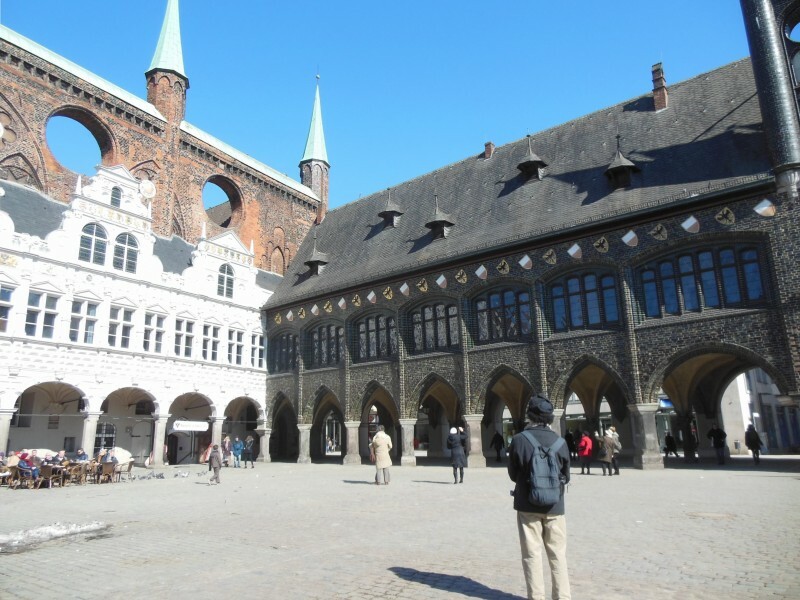 How we got to Lübeck,: train from Goslar. Where we slept: Hotel Stadt Lübeck. Price: €66 for a double. Recommended: yes. 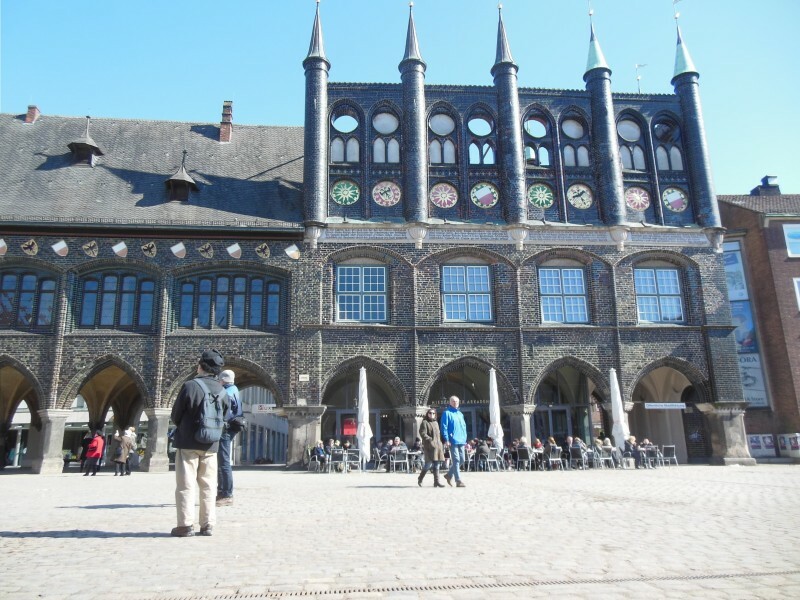 Holstentor: medieval gate or 1950’s bullet bra? Rathaus (town hall). The white facade and loggia are Renaissance, 1570. 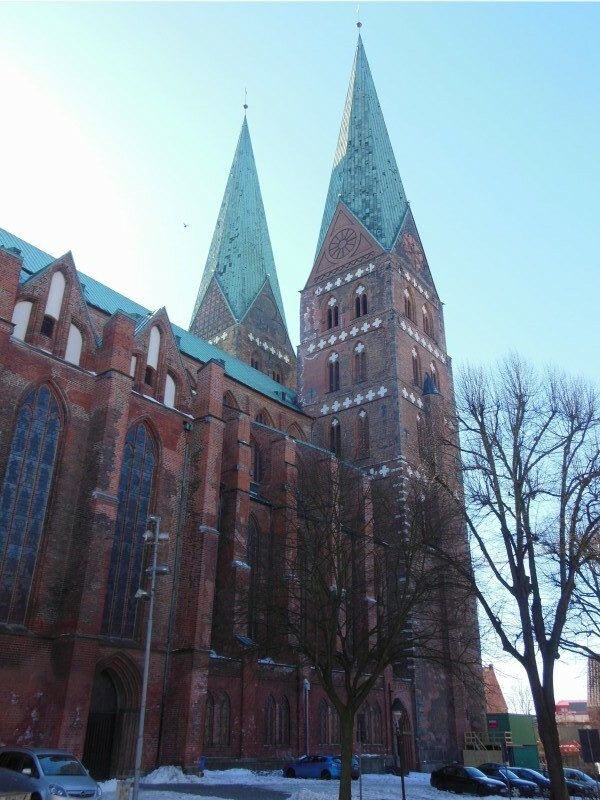 Marienkirche, (St. Mary’s church), 1277 – 1351. Interior of St. Mary’s church. The Hospital of the Holy Spirit–more of a hospice than a hospital. Elderly and sick people live here though the 1960’s. Buildings along the water–they look Flemish to me.